April 15 Marks the 100th Anniversary of the Titanic Disaster. There were a dozen dogs aboard the Titanic when it hit an iceberg and sank, 100 years ago, April 15. Three of the dogs, all on the smaller side, actually survived. Traveling first class with their owners, the dogs were kept inside their owners’ cabins instead of in the onboard kennel. A Pomeranian named Lady was saved by her owner Margaret Hays, who wrapped the dog in a blanket and sneaked her onto a lifeboat. Sun Yat-sen, a Pekingese owned by Henry and Myra Harper (of Harper & Row Publishing) and another Pom, owned by Elizabeth Rothschild, were the other two dogs who survived. 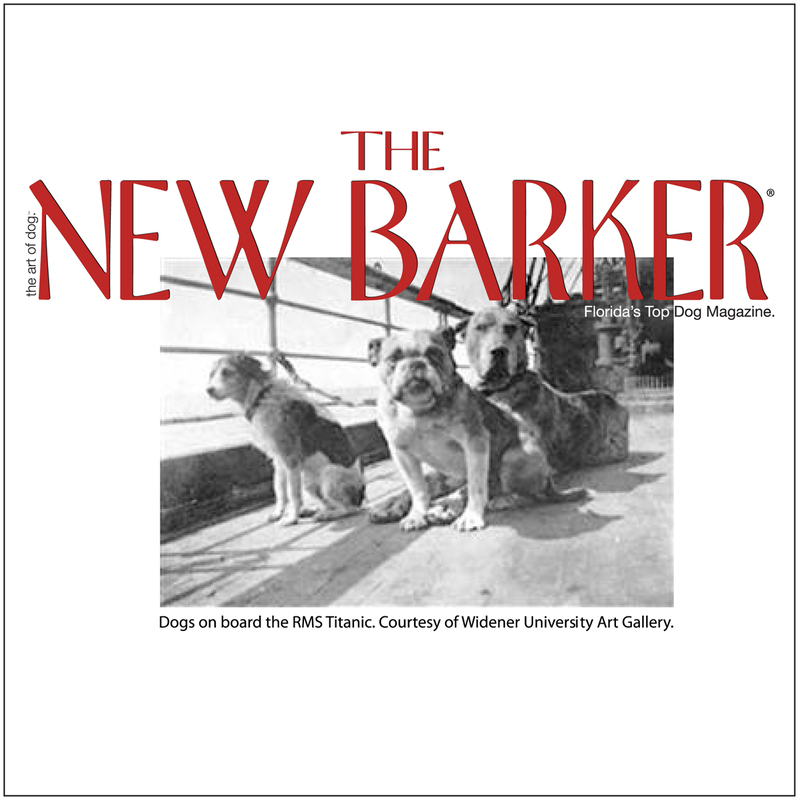 An exhibit at the Widener University Art Gallery in Chester, Pennsylvania, called “RMS Titanic: 100 Years” acknowledges that the other stories of the dogs did not have such happy endings. One story was of William Carter, a Philadelphia coal magnate who was traveling with his family, which included his two children and their two dogs, Lucy (a King Charles Spaniel) and an Airedale. In order to persuade his children to board a lifeboat, he told them the dogs were safe. The family survived, but the dogs did not. John Jacob Astor IV and his wife also lost their two Airedales, Kitty and Airedale. A Fox Terrier named Dog was reported lost in the tragedy as well. But the most heartbreaking story was that of Ann Elizabeth Isham, who actually left a lifeboat in hopes of saving her Great Dane. She was found by rescuers several days later, floating dead in the water, still holding tight to her beloved dog. Be sure to tune in to The New Barker segment of The SkipShow with CMA award-winning radio personality, Skip Mahaffey on Monday, April 16. Our special guest will be comedienne and animal advocate, Elayne Boosler. We’ll talk to her most likely about four decades of bad hair days, why she thinks Facebook is a clocksucker, her upcoming Florida shows in West Palm Beach and Sarasota, and of course her Tails of Joy foundation. The SkipShow airs between 1p and 2p EST, and streams live on the internet. Previous Previous post: I Wish There Were More Weekends Than Weekdays.